Turkey may take center stage on the typical Thanksgiving table, but there are plenty of other options to serve as your main dish instead of (or in addition to) the traditional oven-roasted gobbler. Whether your family doesn't care for turkey, or if you just like to have a lot of options, you're sure to find a festive recipe that will satisfy. Want more inspiration? Browse our best roast turkey recipes and our favorite vegetarian entree ideas. 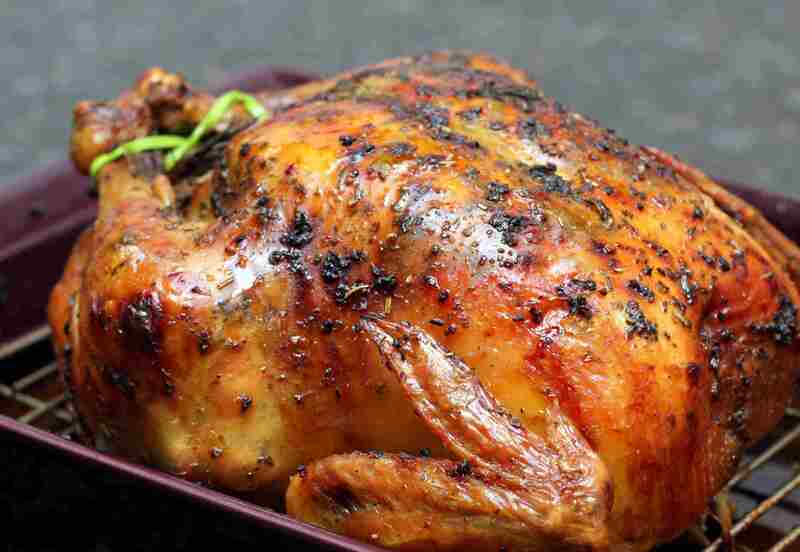 Roast chicken is a good option for a smaller family, or roast more than one for a larger dinner. This roasted chicken is coated with a mixture of butter and herbs. This tender, juicy chicken is roasted in an iron skillet with a flavorful seasoning rub. This baked ham is glazed with a combination of Jack Daniel's Whiskey, orange zest, and spices. The tangy glaze for this ham is a spiced mixture of brown sugar, mustard, and a little vinegar. 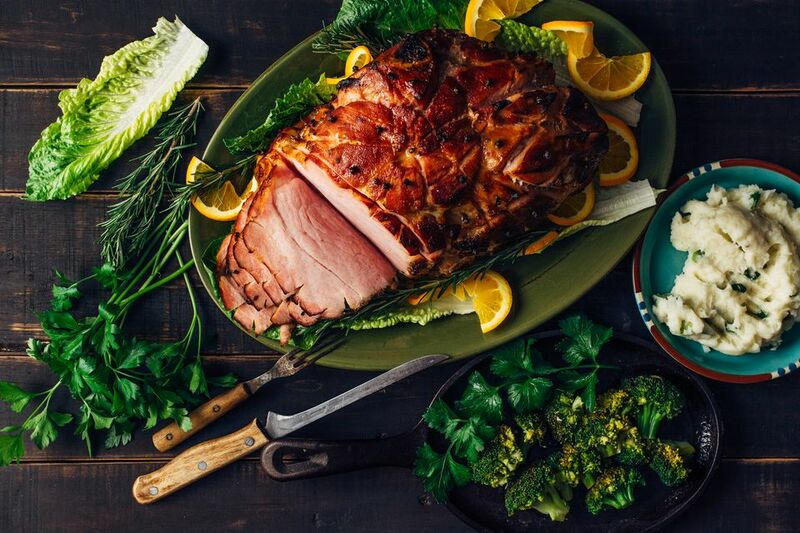 Honey, bourbon, orange juice, and mustard team up to make this delicious spirited ham glaze. Two ingredients make up the glaze for this simple baked ham. A tangy brown sugar, mustard, and beer glaze finish this baked ham. This is an impressive roast for any special meal, and it is quite easy to prepare and roast. A mixture of spices flavors this succulent pork rib roast. Smoky bacon is wrapped around this boneless pork loin. The maple and brown sugar glaze is the perfect finishing touch. No need for an oven to roast this pork loin. this tender, juicy pork loin is slow cooked and then glazed with a brown sugar and mustard mixture. This easy pork loin is roasted with a rub of seasoned salt or Cajun seasoning and finished with a flavorful sweet-tart glaze. This flavorful beef is roasted to perfection with a black pepper and herb crust. Use a good quality wine to make the sauce for this extra-special beef roast. There is nothing quite like beef tenderloin for a special occasion. This tender roast is flavored with a mixture of several herbs and spices, along with a little Dijon mustard. Cracked black pepper and plenty of garlic provide the flavor for this succulent roast beef. Eye of round is a lean and flavorful cut of beef. In this recipe, the beef is roasted with a pepper and garlic rub. This succulent roasted lamb is flavored with dried herbs, garlic, and a little lemon. This rack of lamb is roasted and served with an easy red wine and herb pan sauce. Use a good quality red wine for the sauce, and use fresh herbs if possible.